We strive to accommodate the needs of our customers. 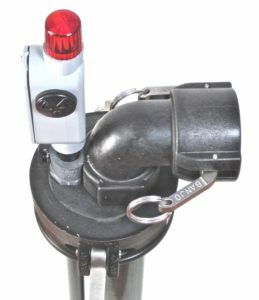 Here are some examples that have resulted in custom IBC alarms. These units have no parts extending above the lid for a no-headroom situation on a marine vessel. 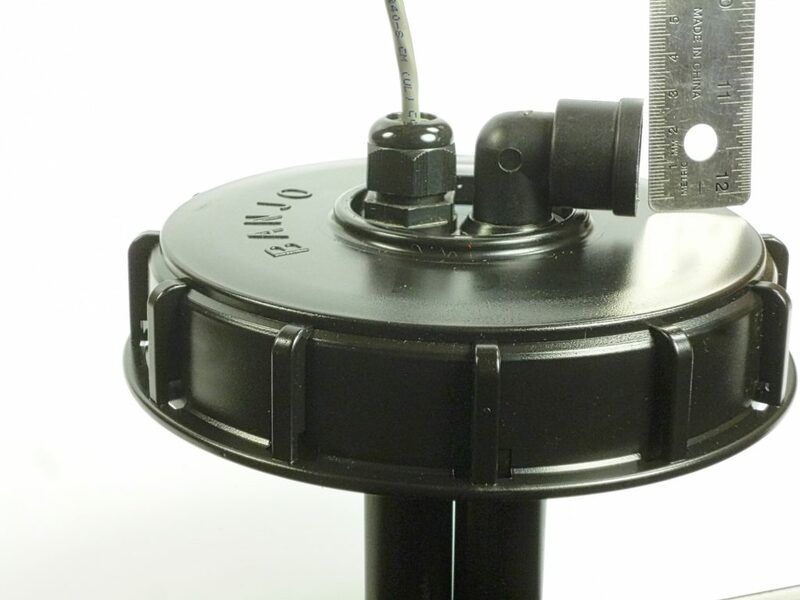 This IBC tank alarm mounts on a 4″ cam-lever fitting so it can be removed from a tank easily. 2″ cam-lever fitting to connect hose. Keeps sloshing down for very fast filling applications.